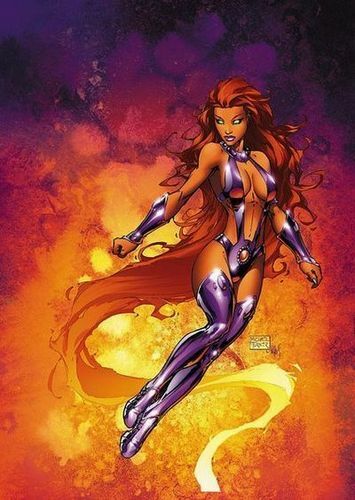 starfire. . Wallpaper and background images in the 틴 타이탄 club. i love Micheal Turners work...but no, it an energy trail or sumpin that she leaves behind when she flys fast. like in PPG. Eww.Her clothes show much more than what you need to see.